It is the dead of night. The tenants are sound asleep. You pull up quietly in your car and check all of your tools. You sneak around to the back of of house and find a door protected by a weak lock that is no match for your lock picking skills. You carefully slide an unlocked window up, climb in, and suddenly you are surrounded by shiny glassware and precious electronics. Grabbing it all, you scurry back to your car and drive off into night, without leaving a single trace. You, my friend, have just pulled off a robbery in Thief Simulator, the newest simulation game that puts you right in the shoes of a sneaky bandit. You have been recently bailed out of jail, and we all know that old habits die hard, so you continue your life of crime, swindling the nearby neighborhood of all they are worth. You are accompanied by your good friend Vinny, who will teach you the in’s and out’s of being a thief. Even though Thief Simulator is still in early access, those moments like the one we described where you pull off the perfect heist is when the game is at its best. At its core, Thief Simulator has the basis of a typical stealth game – you will need to stay out of sight, avoid making too much noise, and make sure you are equipped with the right tools for the job. When you get a good handle on all of Thief Simulator’s inner workings, you will truly feel like a master thief. Before heading out into the neighborhood, you will prep at your secret hideout. Here you can access the internet which lets you purchase new gear, take up requests, pawn off special items, and more. You can even practice picking locks on dummy locks or try out your other abilities, because as any master thief knows it is all about preparing! Your computer also has access to a secret community forum that keeps an eye on the neighborhood. If you have the cash, you can purchase some info about your target location, provide you with some helpful insight on how to plan your approach. That dingy old fence that is falling apart in the back? Give it a good smack with a crowbar and you are pretty much in. Tenant has a graveyard shift job? The house is basically yours for the night. These tips are helpful, but you will also want to do some scouting of your own. You can go to any of the houses at any time you like, but just be aware of prying eyes. If you catch too much attention, civilians will become alarmed and call the cops on you. When you make it to your desired house, you can spy from a safe distance. Any tenants you see can be “marked,” and this will add their current time frame to your notes, which allows you to keep track of when and where the tenants are at every hour of the day. Once you have your entry point info and tenant schedule, it is time to strike. The story missions will have you following Vinny’s requests, where usually he will ask you to steal a certain item. This is where the main portion of Thief Simulator’s game play happens. Breaking into the houses usually requires you to pick some locks The Elder Scrolls style where you will need to move a bobby pin around while turning a lock. As you progress through the game, obstacles will become more difficult and you will have to do more complex minigames to get around them. Eventually you will need to start taking car parts from other cars and it is a surprisingly in-depth ordeal. You will also need the appropriate skills and gear as well. As you steal and successfully complete requests, you will gain experience points and level up, receiving skill points in the process. Thief Simulator has a rather simple skill tree, and the upgrades let you tackle stronger locks, carry more goods, and even become more agile, letting you climb walls. Though, you may fall behind in terms of skills and gear, and then you will be forced to steal the same items from older houses. At this point Thief Simulator might wear out its main attraction – the actual act of stealing – because you are too low level or you need more gear, which is never a good thing. Houses reset every time you go back to your hideout, so you will sometimes end up in this monotonous loop of raiding the same house over and over again until you get the skill or tool you need to advance the story. It does not happen too frequently to be a big problem, but it is rather cumbersome when it pops up. With that said, Thief Simulator’s prime directive is to make you feel like you are an actual burglar but without all of the real life consequences involved, and it succeeds. As we mentioned, the game is still in early access so expect some general clunkiness like wacky physics, items pushing you around, and things falling through the world, but it is never bad enough to distract from the main experience. The developer is constantly updating the game as well, so the game should be getting more obstacles, more neighborhoods, and so forth. With the time we had with Thief Simulator, we feel that the game has barely scratched the surface of its potential. There is a really enjoyable idea here, and if the developers expand on it some more, we could potentially end up with one of the best thief games! 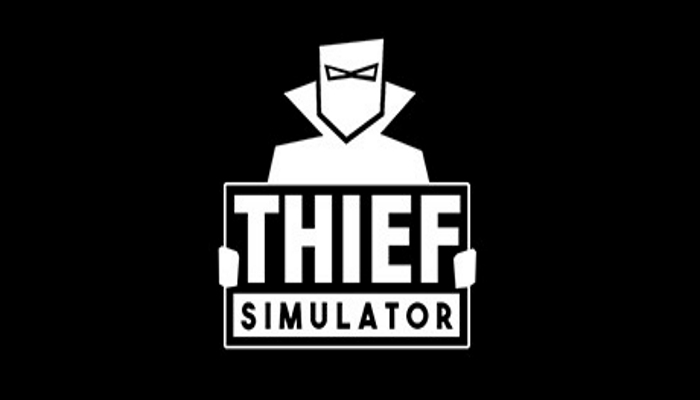 You can view Thief Simulator on Steam. 8.2 Awesome! While it's still a little rough around the edges, Thief Simulator is shaping up to be one of the most intricate stealth games we've seen in a long time. Once you understand all of the mechanics and tools, pulling off the perfect heist feels great.